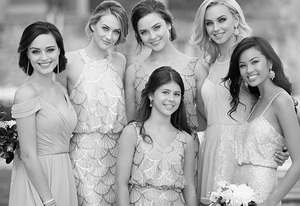 Make your wedding dreams come true, and outfit your bridesmaids in stunning Christina Wu Celebration Dresses from Dimitra Designs Bridal Emporium! This beautiful collection of bridesmaid dresses features rich and elegant styles that are sure to draw attention. Designed by House of Wu, the Christina Wu Celebration by House of Wu collection at Dimitra Designs features bridesmaid dresses in sequins, tulles, satins, and more! Whether you’re getting married barefoot on the beach, or having an elegant wedding in a chapel, this collection of stunning bridesmaid dresses is perfect for any type of wedding, Choose from an assortment of House of Wu Bridesmaid Dress styles, including one shoulder dresses, strapless bridesmaid dresses, ruched options, sweetheart necklines, and many more popular designs and fashions. From light pink to deep purple and golden yellows, choose from a large selection of colors that are sure to match the colors chosen for your wedding décor! 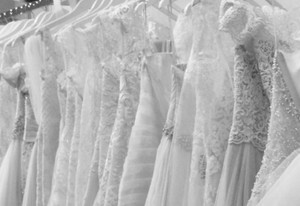 Stop in and visit us at Dimitra Designs Bridal Emporium, located in Greenville, SC, to learn more about our bridesmaid dresses.